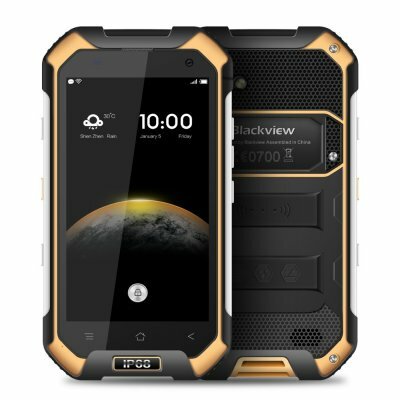 Successfully Added Blackview BV6000S 4.7 Inch Quad Core Android 2GB RAM Smartphone (Yellow) to your Shopping Cart. The phone made from the high-quality waterproof, dustproof and shockproof material, the multi-defense protection was unassailable. Powered by MT6737T quad-core processor and Android 7.0, delivers high-performance, let you enjoy an excellent user experience. 2GB RAM, faster download data and write abilities, 16GB ROM provides enough room for storing your apps, data, files etc. The phone design with a 4.7-inch screen, front & back camera, a not detachable 4500mAh battery etc. BV6000s has the waterproof level of IP68, breakthrough limitation to take photos whenever and wherever you like even in the rain or underwater. Single click to access shooting mode, one more click to take photos, and long press the snapshot button for 2-4 seconds to enter the video mode, single click on power button to exit shooting mode. 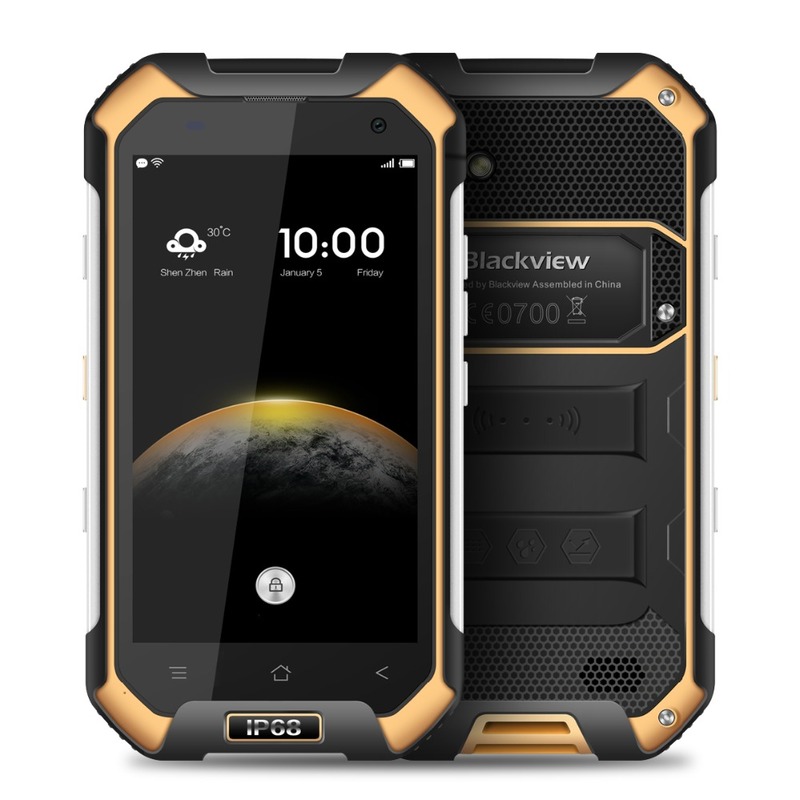 BV6000s is equipped with the 5th level of the 3rd generation Corning Gorilla Glass, which allows the touchscreen could be operated even when you wearing gloves. Dual cameras, 85°wide angle 2.0MP OV5670 front camera, 8.0MP OV top level rear camera with the big aperture value of f/2.0. Built-in NFC technology provides wireless connection a more simple, fast and convenient way in modern daily life. Intelligent power management system helps the battery of BV6000s last long time, both intelligently and efficiently. Three times faster than the 4G network, the 4G+ network allows users to upload data at a speed of 50Mbps, and the speed of downloading reaches 300Mbps the maximal. The high speed will definitely surprise you when you have a unit of BV6000s in hand. GPS plus GLONASS dual satellite positioning, the double security system ensure your safety while you discovering the world outdoors. Faster positioning, a smaller dead zone. For people who like mountaineering, they are very concerned about the height of their spot in the mountains. A built-in pressure sensor helps to calculate the elevation of a mountain via measuring atmospheric pressure. Polycarbonate plus glass fiber make the high strength and hardness are both available. The cushioning material of BV6000s is TPU that has excellent cushioning effect protecting your gadget from the serious bump. Android 6.0 marshmallow and customized UI provide you a completely fresh user experience. Besides, Built-in PTT function(Pust To Talk) serves as an interphone without distance. Tough material for the frame can efficiently protect the phone by endowing stronger resistance to bumps and scratch. Powered by MT6737T 4x Cortex-A53 1.5GHZ, BV6000s runs much faster than you can imagine. Stronger chipset brings a marvelous performance, preventing lags on the device and decreasing the power consumption by 30 percent. Mali-T720-MP2 has a 450MHz main frequency, always doing well in dealing with all kinds of images. 2GB RAM, the highest specification of mobile phones nowadays, with super fast read and write rate, brings you a feeling of flying. 16GB storage space stores more and bears more.